Welcome to the conference! 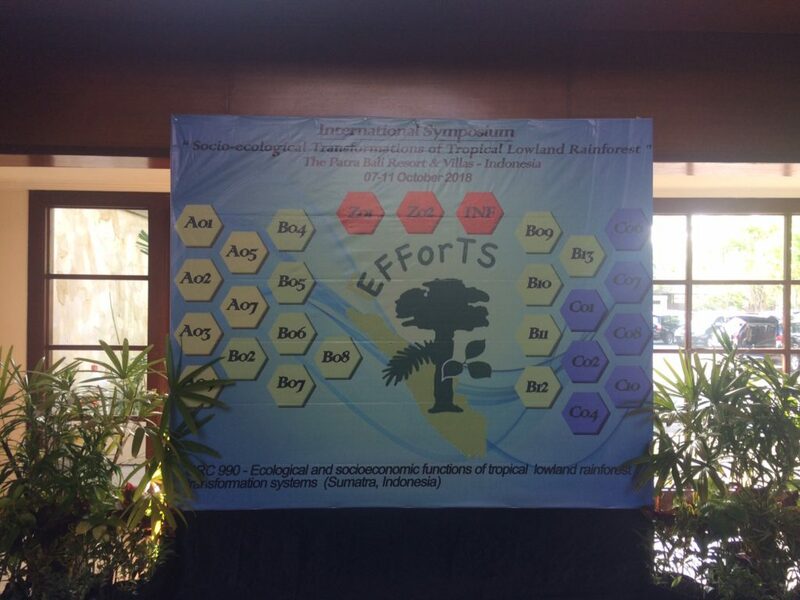 The banner at the entrance to the conference which illustrated the interdisciplinary nature of the EFForTS Project and the symposium. An attentive audience. 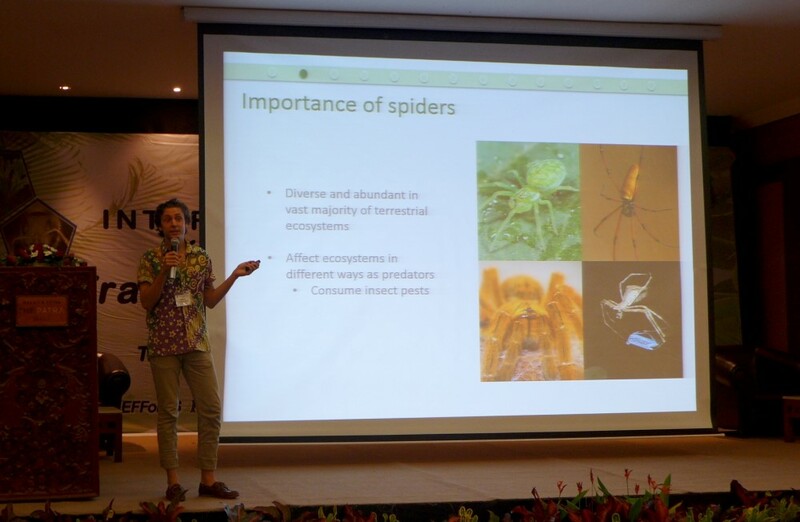 The conference was attended by a large number of Indonesian scientists and policy makers, as well as scientists who had travelled from Europe. 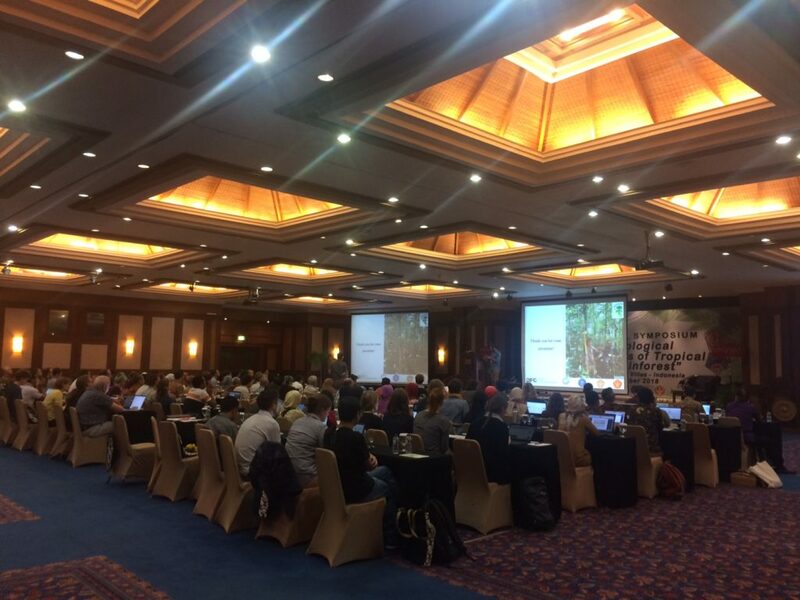 The symposium included three full days of talks and poster sessions, and both Sarah and Michael gave presentations on their work within the BEFTA Programme – http://oilpalmbiodiversity.com/. 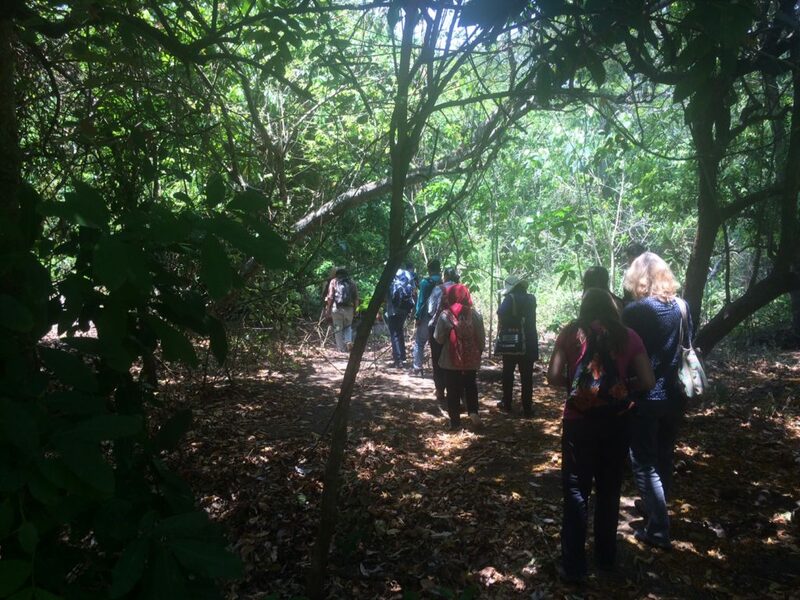 On the final day there were field trips around Bali, and Sarah visited West Bali National Park for the first time – an area of savanna, mangroves, and mixed forest in the north-western tip of the island. Michael Pashkevich explaining his work surveying spiders within riparian buffers. 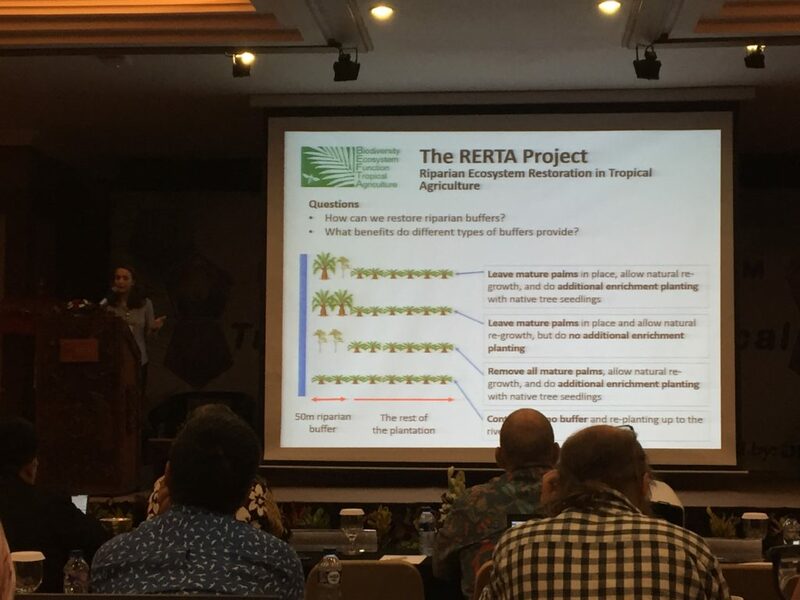 Sarah Luke explaining our new experiment that is testing strategies for riparian buffer restoration in oil palm plantations. Field trip to the West Bali National Park. Sarah joined one of the field trips that were organised as part of the conference, and spent a day exploring the forest and mangroves in the north western-most corner of Bali.